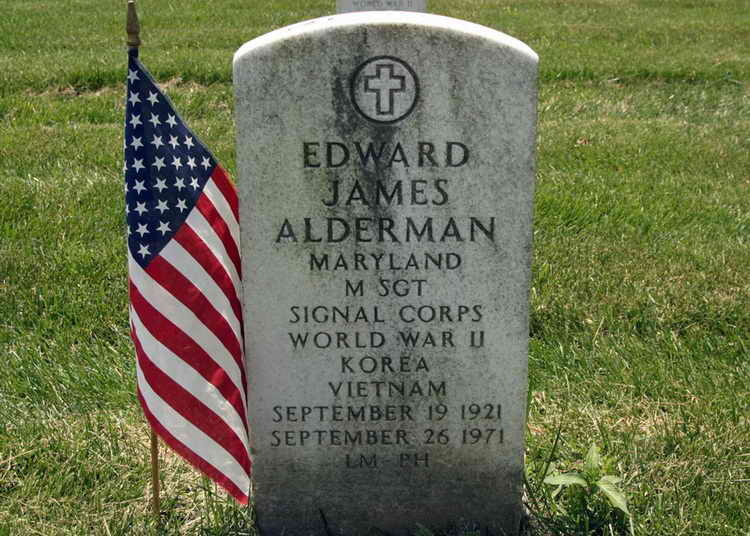 Grave marker for MSgt Edward J. Alderman (Ret.) in Arlington National Cemetery, Arlington, Virginia. 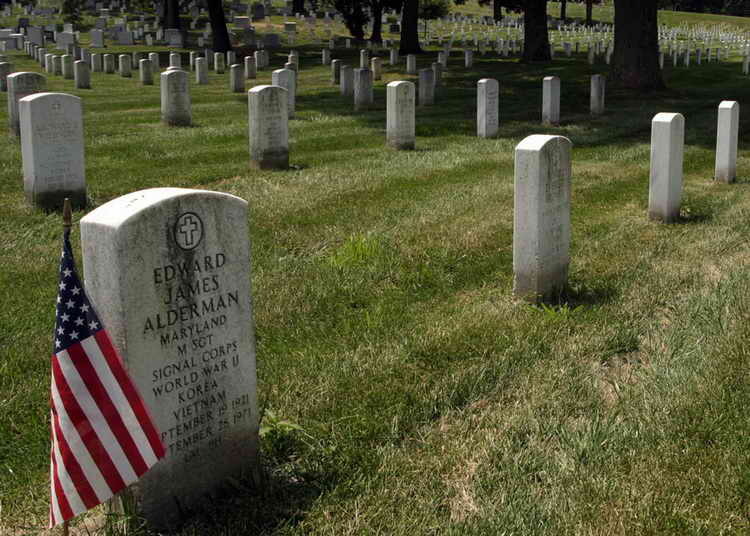 Edward saw service in WW-II as a member of the Medical Detachment and went on to serve in the Korean and Vietnam conflicts as well. He was awarded the Purple Heart during WW-II and according to the legend on his grave marker he later earned the Legion of Merit as well.